On 16 December activists with the Irish Housing Network along with others in the #HomeSweetHome group forcibly entered the vacant Apollo House office block and converted it into a hostel for the homeless. In doing so they tapped into a strong mood of anger in wider society over the ever-growing scandal of homelessness and rough sleeping on our streets. The fact that 3,000 people have volunteered to help online and that €160,000 has been donated on the #HomeSweetHome gofundme site is adequate testimony to this support. The support has been further indicated by the procession of donations of food and other practical items by ordinary people and the big turnouts to protests outside Apollo House at short notice. This wellspring of support, while dramatic, did not come from nowhere. Anybody who has frequent occasion to walk through Dublin City Centre cannot help but have noticed the dramatic increase in visible homelessness. Added to this is the fact that those in certain types of emergency accommodation are forced at various times of the day to vacate the premises. Multiple factors have fed this escalation in homelessness. Most notable are the sky rocketing rents across the country and economic evictions. 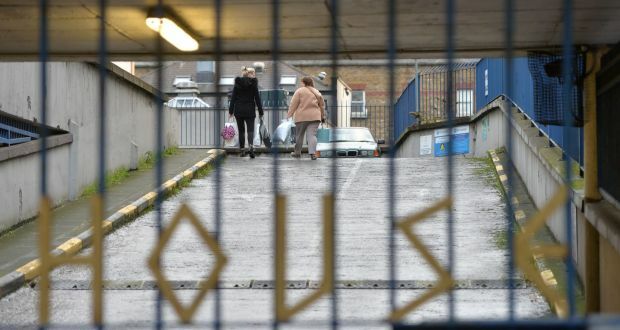 A factor less understood was a decision made by Minister Simon Coveney last April to end a situation where half of all council homes in the four Dublin Local Authorities was awarded to what are deemed priority cases, including the homeless. Perversely, and without any substantiation, it was claimed by the Department of Housing, Planning, Community and Local Government that this arrangement was ‘encouraging’ people to declare themselves homeless in order to obtain social housing quickly. This reduction coupled with the increase in homelessness has led to a real decline in the availability of decent quality emergency accommodation. Coveney and senior Dublin City Council officials, responding to the Apollo House occupation, have claimed repeatedly that there are adequate Dublin City Council-approved emergency accommodation beds for those who have been staying in Apollo as well as for those who are still sleeping rough. They make it sound like simple maths when it is anything but. There are real and practical reasons why some homeless people would opt either to sleep rough in the first place or go to Apollo House over what they might have had to put up with in Dublin City Council-approved emergency accommodation. 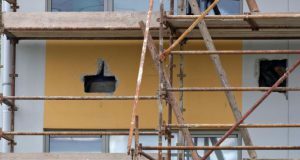 There is a real unevenness in the standards of the emergency accommodation approved by Dublin City Council. In particular some of the guest houses and hotels that have given themselves over entirely to emergency accommodation and no longer take in tourists drop their standards of cleanliness and hygiene. As a councillor I have been shown photographic evidence of soiled bedding, damp and mould. Some of what are described as bed spaces are in fact yoga mats on the floor. In the dorm style accommodation provided in some places couples have been split up similar the workhouses of the 19th Century. But the main factor that has driven a number of people from Dublin City Council accommodation onto the streets has been fear of being in an environment where there is active drug use and/or alcohol consumption. For those struggling to overcome addiction this can be particularly unbearable but likewise for families who have recently become homeless and have never before been in close proximity to drug-taking this can be a very difficult adjustment to make on top of becoming homeless in the first place. 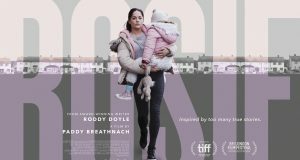 The Apollo House set-up has set a standard of emergency accommodation that far exceeds a lot of what is available in Council-approved emergency accommodation. The fact that the initiative was geared towards rough sleepers seeking an alcohol and drug free environment has been distorted by Dublin City Council Chief Executive Owen Keegan.In a radio interview with Pat Kenny he disgracefully insinuated that this was an active discrimination by the #HomeSweetHome activists against homeless people with addictions. 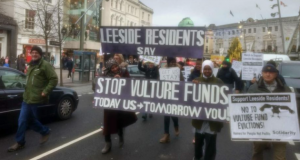 Rather than cast aspersions on the activists senior Dublin City Council officials should instead spearhead the enforcement of proper standards in the emergency accommodation funds. The allocation of spaces should be reorganised to ensure that people with addictions are housed in specialised accommodation where treatment is available to them. At the time of writing the residents of Apollo House have indicated that they will remain unless alternative, appropriate Council-approved emergency accommodation is provided. In doing so they will remain beyond the 11thJanuary deadline stipulated by the judge in the High Court injunction proceedings that were taken against the activists. They deserve our support in this stand. From this initiative the possibility of a movement around the accommodation and housing crisis in all its dimensions, on a scale akin the water movement, is posed. The political establishment are not serious about resolving this crisis, leaving the initiative to the landlords and developers to house people when they are only interested in gouging a profit. #HomeSweetHome launched an emergency housing plan which is far superior to what Minister Simon Coveney has offered up as a response to the crisis. The Socialist Party supports the demands contained in this plan many of which chime with the “Minority Report” published by AAA TD and Socialist Party member Ruth Coppinger in the aftermath of the deliberations of the Dáil Committee on Housing and Homelessness which sat last spring. This document goes into the more far-reaching radical measures necessary to resolve the crisis including a ban on economic evictions and stringent rent controls, the building of 100,000 council homes and bringing the construction industry and banks into democratic public ownership. Fundamentally we need to break with the logic of a capitalist market that is incapable of meeting the needs of the 99%, including the right to decent and affordable housing provision for all.